Forum fans, discover in exclusivity the last news and share your favorites discussions, photos and videos to Known Worlds. 1 Free forum : Dimensional Clash! 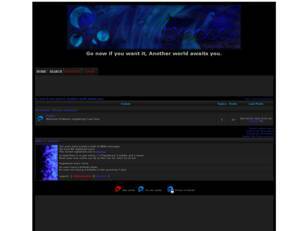 Free forum : A place where role-players can join to create something fantastic. Though they should be decent. Roleplay about one of the greatest anime crossovers in the whole entire world Kingdom Hearts. Forum RPG basé sur l'univers d'Undertale créée par Tobyfox ainsi que ses AUs. A roleplay based on the BBC series Merlin. Join Merlin as he attempts to win against evil or fight him in your own quest for power. In this site you will find all paid mods for SimRacing games for FREE. We are anonymous, we are legion, we don't forgot, we don't forgive, expect us. Something permanent for /tg/ to shi/t g/ets done. it's just a roleplay forum, man. all types of roleplays, few rules. Adonia is a roleplay website! This is the home of "Invictus - Dawn of Dystopia" a collaborative story thread created after years of preparation and revision. Welcome!